For tailgate parties, the beach, and anywhere else where electricity isn't handy! 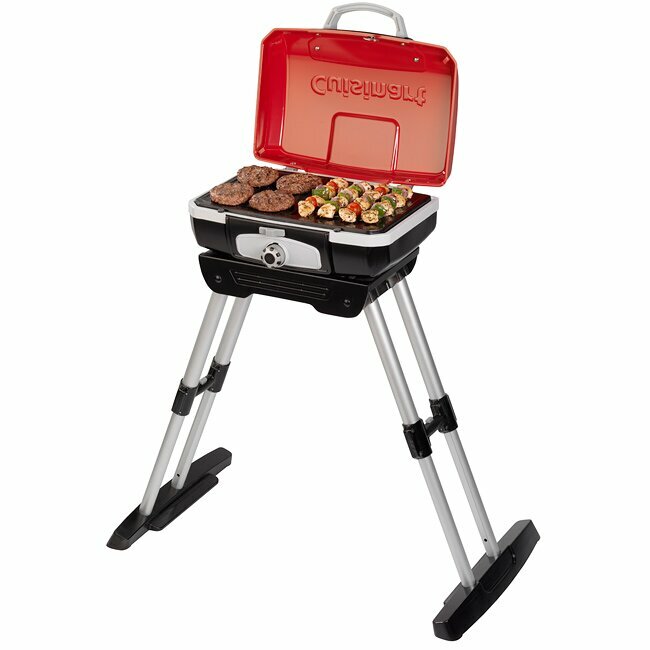 The Cuisinart CGG-180 Petit Gourmet Portable Gas Grill, with it's VersaStand integrated adjustable telescoping base, will provide you with great grilled flavor every day and anywhere. 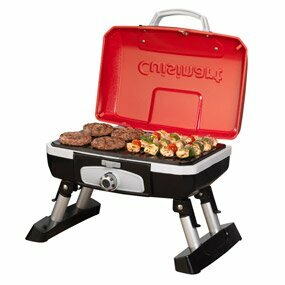 PROS: A great portable gas grill that takes just a tiny bit longer than a full size gas grill to cook meat or veggies. It heats up pretty quick, its easy to start and also easy to clean and is very portable. CONS: Remember, this isn't a full size gas grill... but it doesn't try to be one. Anyone buying this should be aware this is a portable gas grill, so it's a compromise, but a very good one.